This image was taken at the Clark County Wetlands Park, a nature preserve in Las Vegas, NV. I was visiting the park to take photos of the many varieties of birds and wildlife. 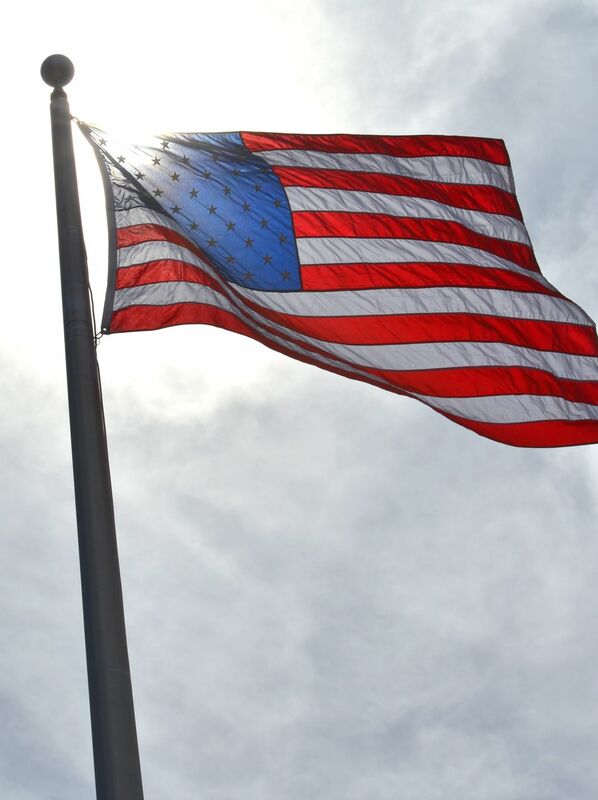 The flag was streaming atop a flagpole near the entrance to the park's visitor center. It was a slightly overcast day, but the sunlight was just beginning to break through the clouds. I noticed that the brilliant light was illuminating the colors in the flag, and it created a very special visual element.